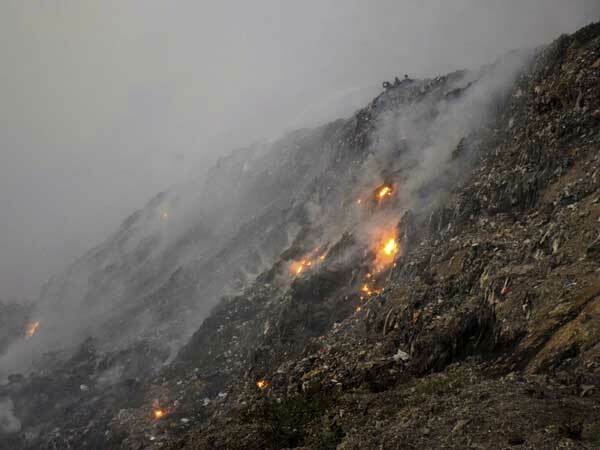 Delhi Environment Minister Imran Hussain on Monday expressed serious concern over the fire at Bhalaswa landfill site and directed civic authorities to ensure such incidents do not recur. The minister convened a meeting of senior officials of the environment department and the three corporations, representatives from various agencies, including the Delhi Fire Services and the Delhi Pollution Control Committee (DPCC), to review the preparedness of the municipal corporations in handling the incidents of any fire at the sanitary landfill sites at Bhalaswa, Ghazipur and Okhla. “The commissioners of the three municipal corporations did not attend the meeting,” the environment department said in a statement. “The minister expressed serious concern at the fire breaking out at Bhalaswa, since Delhi is already bracing itself with the adverse impact of stubble burning in the neighbouring states which is likely to aggravate air quality of Delhi in the coming days,” the statement said. Hussain emphasised that in such a situation, all stakeholders, departments and agencies in Delhi must ensure that local factors do not adversely impact the air quality of Delhi. The minister enquired about the action taken by the NDMC in extinguishing the fire at Bhalaswa landfill site. Officers of the EDMC said that at the Ghazipur landfill site they have prohibited the entry of ragpickers into the site. There is posting of adequate staff as well as CCTVs for round-the-clock monitoring of the site to prevent any unauthorised entry.